When it comes to retention, many companies focus almost exclusively on those crucial first few days after a user installs an app or signs up for a product. Although this period is crucial to a product’s success, focusing only on this honeymoon period could be highly misleading and detrimental to your product and your users. For SaaS products and companies, it’s critical to demonstrate the value of products consistently. Every unengaged user, regardless of how long he or she has been using your product, is at risk of churning. To reduce churn, it’s vital to examine and optimize for late-stage retention. All three of these focus areas are ways of celebrating users’ progress or achievements. That in turn helps remind users of the value and impact of your product, which can boost long-term retention and reduce churn. Here are five ways to achieve each of these three objectives and offer greater incentives for your users to stick with your product. One of the most effective ways to optimize for and encourage longer-term engagement among your users is to celebrate key milestone achievements regularly. After users start to get comfortable using your app or product, it’s easy for them to forget what their life was like before they started using your product; they can become complacent and stop actively thinking about the value they derive from your product. It doesn’t really matter what the milestone achievements are. It could be logging in for a certain number of consecutive days, the anniversary of the first time they logged in, a certain number of actions completed — the achievements themselves are less important than how you choose to commemorate and celebrate the accomplishments. It might not seem like that big a deal, but this is a great example of providing users with a sense of accomplishment and positive reinforcement for completing an action. That in turn may boost long-term engagement with the app because it rewards users for making the most of the app’s features — a positive feedback loop that becomes even more effective over time. positive reinforcement that the user is on the right track. Milestone achievements aren’t just a way to celebrate users’ progress — they’re also a great way to gently remind your users that you are actively thinking about them and are invested in their success. Another way to increase engagement and user retention is to provide genuinely useful suggestions on how your users can get even more out of your product. Offering helpful recommendations means examining your product’s usage data and evaluating how your users are actually using your product. Far too many products waste time and effort bombarding users with generic, one-size-fits-all emails about product features that most users don’t want or need. Not only is that unhelpful, but it can also cause significant damage to your brand; many consumers are highly sensitive to brands that are overly promotional. Nonintrusive. Whatever suggestions you plan to offer your users, it’s vital to do so in a way that’s minimally disruptive. That means no irritating pop-ups that obscure essential parts of your UI, or anything else that could interrupt your users’ workflow as they use your app. Based on actual user data. If a recommendation doesn’t align with how a user actually uses your product, a suggestion for a feature they won’t use will do nothing except annoy your user. Make sure your suggestions are personalized and align with how your users are actually using your product — not how you think they’re using it. Highly specific and immediately actionable. The last thing you should do is bother your users with bland, generic messaging. Rather than wasting your users’ time with a weak call to action, make sure your recommendations are specific and immediately actionable. Buffer sends this email when users connect their Twitter profile to Buffer for the first time. 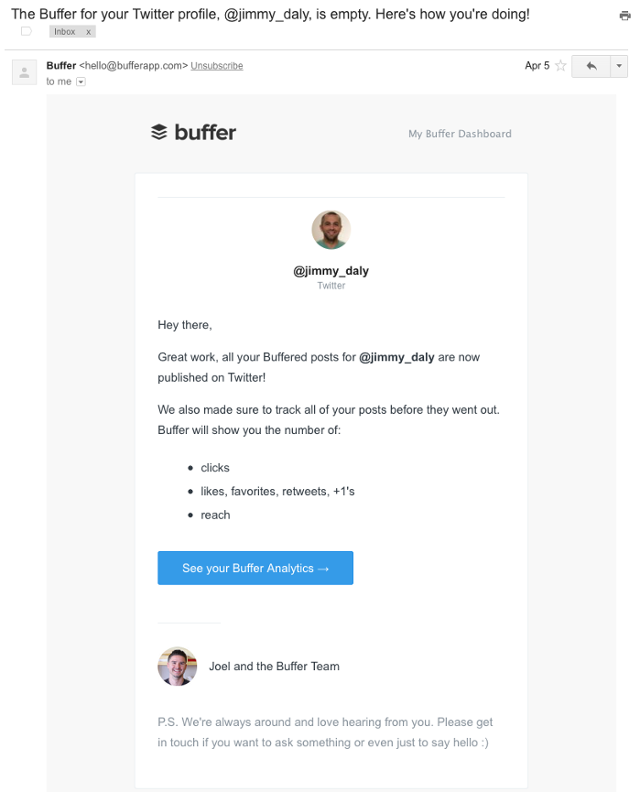 As well as celebrating the action itself, the email helpfully includes a strong, clear call to action that suggests tracking tweets via Buffer’s analytics dashboard. Another way to celebrate your users’ wins is to make them feel special and create a little exclusivity around being a loyal customer. Giving your most loyal users the white-glove treatment isn’t just a quick way to persuade users to perform a certain action in exchange for better perks; it’s also a way to demonstrate to your users that their patronage and support haven’t gone unnoticed or unappreciated. Uber has a VIP system in place, and it’s a great example of how to implement systems like this. Uber passengers are granted VIP status after taking 100 rides. Once a rider has achieved VIP status (which is its own reward and a small way to make loyal riders feel special), they’re only connected with drivers with impeccable ratings. Although these kinds of incentive structures are often compared to loyalty programs, the key difference between the two is that users don’t automatically expect rewards the way they might when signing up for a loyalty program. Because users don’t expect to be granted VIP status, it’s a really nice surprise when they’re given additional privileges. That also aligns strongly with the exclusive nature of VIP programs, which can help brands feel a little more luxurious. Often, development teams think about product features from the perspective of attracting customers. But when it comes to what your product needs, few people know better than your current customers, which is why viewing product development through the lens of customer retention is such a powerful yet seriously underrated approach to product development. In today’s intensely competitive tech landscape, it’s vital that even popular, growing products demonstrate that they’re constantly improving over time and making users’ lives better. If you’re not improving, you’re not moving, which means you’re potentially losing customers (and revenue) to competing products. Groove, maker of help-desk software, implemented a system in which the company’s engineers would create new product features once a specified threshold of user requests had been met. Groove’s development team introduced a system to gather user feedback using surveys and feature requests logged via Trello cards. When requests for a feature reached a certain number, Groove’s dev team just went ahead and built that feature. Rather than wasting time and resources by sending irrelevant feature-update emails to disinterested customers, Groove sent personalized update notifications to users who submitted feature requests. The open rate of those emails was high, but the response rate was even higher — an unbelievable 68%. This campaign was successful partly because Groove not only personalized its updates but sent them in the first place; submitting product feature requests is important but often feels completely disconnected from the rest of the experience of using a product. By sending personalized messages to people who submitted the requests, Groove created an incredibly strong, positive impression and celebrated its users. Our final strategy for increasing engagement by celebrating users’ successes is to actively solicit feedback from your most loyal users. Asking your customers to tell you what they think shows them that you appreciate their insights and perspectives. But inviting feedback does more than merely increase engagement — it gives you invaluable insight into how your users really feel about your product. It’s easier to get a sense of how loyal your customers are and provides a better sense of how long they’re likely to remain users of your product. One of the biggest challenges when soliciting feedback is structuring your requests in a way that allows users to be honest in their responses. Surveys and questionnaires that are poorly thought out can result in seriously misleading data, which makes getting them right of paramount importance. Target the right audiences. There’s little point in asking customers to give you feedback on product features they don’t use, so make sure you’re asking for feedback from the right audience segments. Structure your questions around user behavior. Similar to our tip above, there isn’t much value in soliciting feedback about product features customers rarely use. Instead, focus your questions on the core functionality that your users couldn’t live without and on the features they know best. 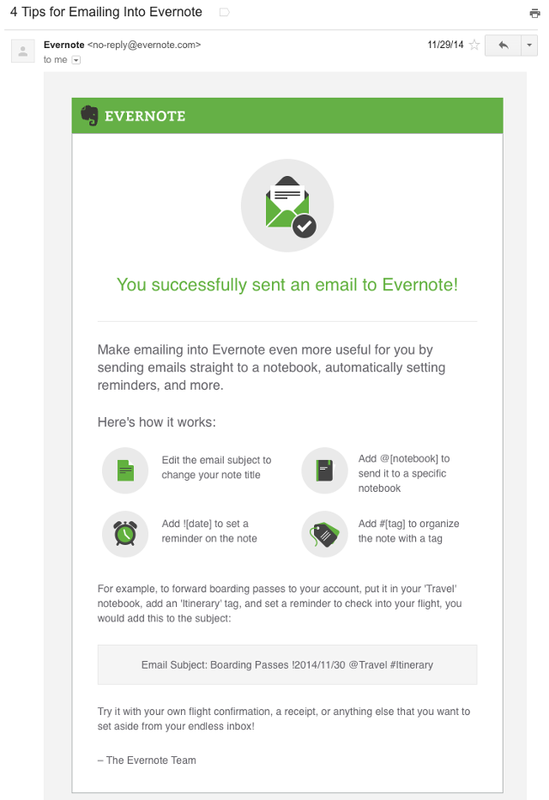 Make gathering user feedback a regular exercise. People’s opinions aren’t always static, which means you should be actively gathering feedback at least twice a year, if not more frequently. Customers’ perceptions of a product can and do change over time, so it’s important to account for this in your research. 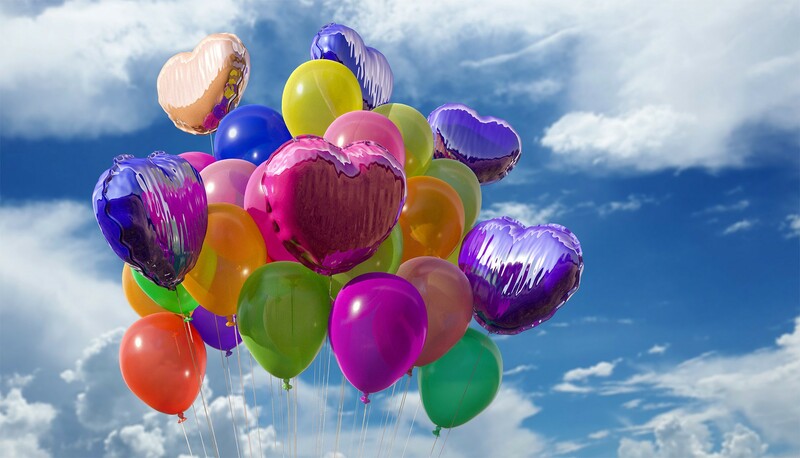 Celebrating your users’ victories is a great way to reinforce positive behaviors, create a sense of excitement about your product, and make your users feel valued and appreciated. It’s hard work attracting customers, so don’t take any chances when it comes to retaining them. It’s vital to think about mid- to long-term retention at every stage of the product-development cycle; by celebrating your users’ wins, you’re aligning their success with yours — and that’s a win-win for everybody. Originally published at blog.nomnominsights.com on January 17, 2019.